Charging multiple devices are annoying, and we’ve found a gadget could charge all your devices at once. 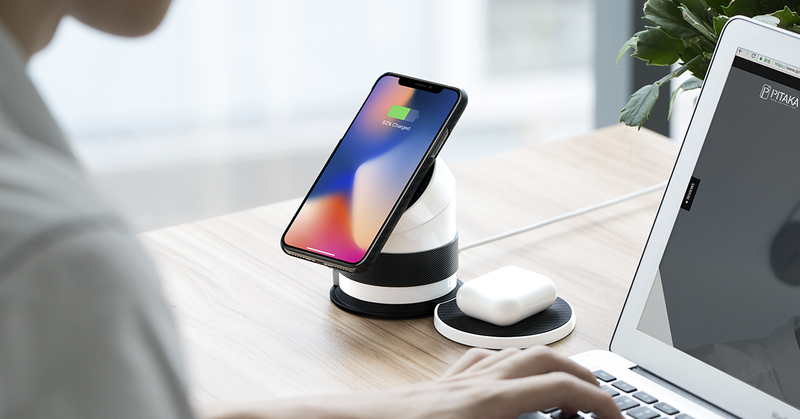 MagDock is a wireless charging station that combines everything, including wireless charging, mobile charging and power bank. It could charge all your device neatly at the same time. It doesn’t matter what kind of mobile devices you have, a phone, a smartwatch or AirPods, the charging station can handle them. This is especially helpful when you are traveling, you can charge your devices neatly at all time. The power bank holds 7500mAh of power, you can go on for a long time. The design is sleek and features a magnetic charging dock so you can keep your docks neat and clean. It could also charge via a charging cable and functions as a traditional charging bank.